Namine attended her first week of ballet with Tour de Force. 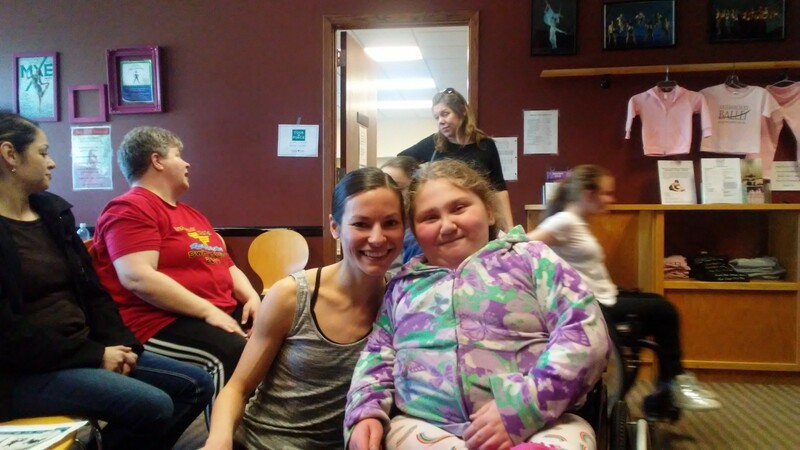 Last month, Namine attended the kickoff event for the Milwaukee Ballet’s Tour de Force, and inclusive and adaptive program for special needs children to participate in the ballet. The class has now started, and she’s loving it. The first dance class was last Saturday, when we were in Tennessee. We had originally planned on coming home a few days early, so she could make it to class, but she was still sick. We decided to stay in Tennessee an extra day, then, and get the most out of our vacation. Now, Namine is feeling much better, so she was able to go. While class was in session, I stole a peek into the classroom. Namine was at the very front and center of the class, full of smiles and confidence. I knew she missed this. She’d broken her leg last year, so couldn’t participate in dance with Anita’s, like she has in the past. Then she couldn’t participate in the next season either, because she broke her wrist. But none of that mattered now. When class was over, before we left, Namine gave goodbye hugs to her teacher and classmates. She can’t wait until next week’s class!